Our clear pressed glass luncheon plates are straight out of the 60s. They are perfect for a shower, brunch or just to enhance your retro party theme. 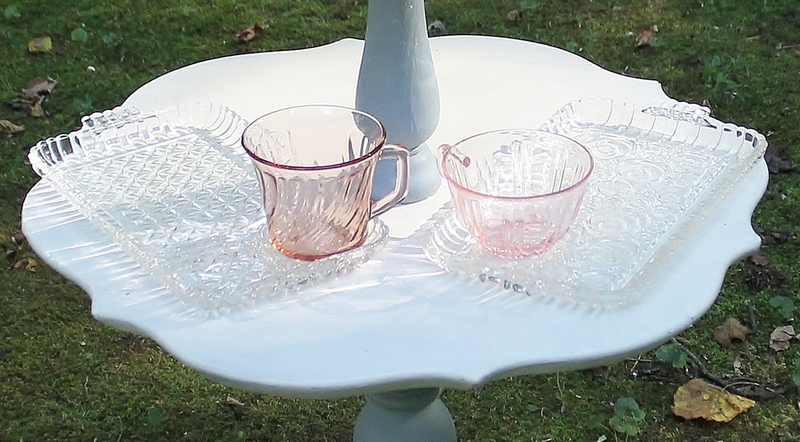 We offer clear or pink cups to complete the look.